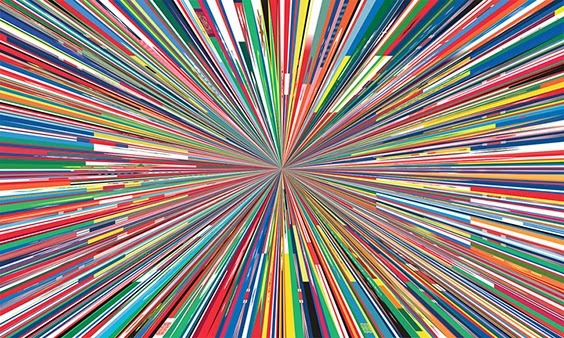 Citoyen du Monde (World Citizen) is the work of Viennese artist Meshac Gaba. It’s a Billboard located at the Socrates Sculpture Garden Park in Queen NY and will be on exhibit until August 3, 2014. It was created by elongating individual flags from every country in the world into narrow triangles that converge at a central point. The work anchors our reality in the hope of manifesting a united global culture grounded on a common understanding that celebrates the unique infinite diverse contributions each nation on Earth bring to the whole.